Paris St-Germain suffered the first defeat of new manager Unai Emery's reign as the French champions were beaten 3-1 at Monaco. Joao Moutinho put the hosts ahead before reported Manchester United target Fabinho converted a penalty following David Luiz's foul. Edinson Cavani gave PSG hope, but Monaco were gifted a third though Serge Aurier's own goal. 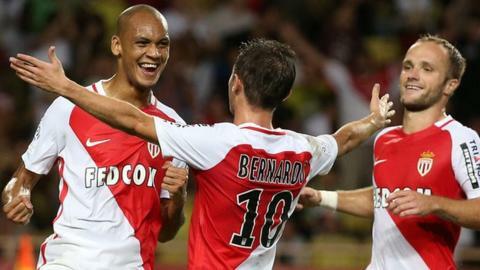 Monaco move level on points at the top of the table with Guingamp and Nice. PSG - who tasted defeat in the league for the first time since March - are a point behind. Emery left Sevilla in June to take charge in the French capital after Laurent Blanc's departure.